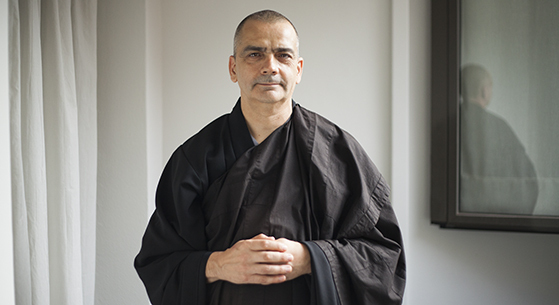 The master Lluís Nansen Salas (Barcelona, 1965), head of Zen Kanon, is a Zen monk and a disciple of Roland Yuno Rech. Degree in Theoretical Physics from the UAB, a post-graduate degree in Telematics and an advanced diploma on the Information Society. He is married and has two children. He lives and works in Barcelona. He started practicing Zen in 1991, and was ordained as a Zen monk in 1995. In September 2008 he founded Zen Kannon, located at the heart of the city. On 2016, Lluís Nansen Salas, received the Shiho, Dharma Transmission, from Roland Yuno Rech. Nansen teaches at Zen Kannon, after the lineage of Taisen Deshimaru and Roland Yuno Rech, based on strong zazen practice and its harmonization with the activities of daily life. He is particularly focused on training practitioners by giving courses, lectures and leading workshops and sesshins (Zen meditation retreats). Natàlia Keiko Barenys (Barcelona, 1966) is graduated in Art History from the UAB. 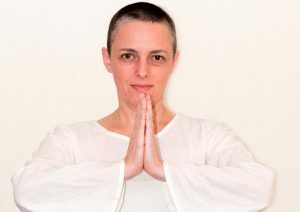 In 1993 began the practice of Zen, and in 1997 received the Zen nun ordination. From the beginning, she has been increasing gradually the practice of Zen, until its fusion with her everyday life, in a continued gyoji. In the Dojo Zen Barcelona Kannon she teaches the Zen in the lineage transmitted by Lluís Nansen Salas.